All Canadians have a vested interest in oil and gas production, whether as a means for transportation, numerous oil related products, employment, and entrepreneurship. Economically, the Alberta Oil Sands contribute around 2 percent to the total Canadian Gross Domestic Product (GDP), and around 15 percent of the total GDP when factoring in related industries and technical services. In addition, the Oil Sands contributes about 0.2 percent to the GDP of all provinces except Alberta, where the Oil Sands contribute 35.7 percent (including related industries and services) to the Alberta GDP. Further, around 40 percent of Canadian exports are from the oil and gas sectors. There are major reserves of gas in Alberta, Saskatchewan, and Manitoba. Further, there are major reserves of diesel in Saskatchewan, and Manitoba. Related to the oil and gas industries, due to vast carbon sinks, Canada may be carbon neutral, and its contribution to global carbon emissions is 1.5 percent or less. The NCA supports a fair and comprehensive process to determine large-scale industrial projects. The current protocols under the Environmental Protection Act (1999) do not give Canadians reasonable say over such projects, and the process favours local and regional interests over national economic interests. The NCA believes that the Canadian people, coupled with objective evidence of financial and environmental impacts, should make decisions relating to proposed pipeline development projects. The NCA supports implementation of a weighted system that reflects fairly the various stakeholders and most importantly the Canadian public and national economic prosperity. The NCA supports an energy independent Canada. 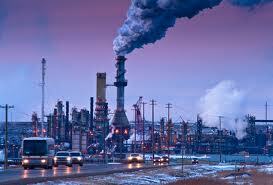 The NCA will support any pipeline and refinery development that is in the best national economic interests of Canada. The NCA membership voted on 2014-04-25. 100 percent of the voting membership voted in favour of the Oil and Gas Pipeline Policy Statement with an 85.7 percent quorum. This satisfies the minimum 70 percent voting membership support and 50 percent quorum required for adoption of policies as per the NCA Constitution (2014).